When we talked about ‘Simply Reliance’ and IDEA ‘Diwali voucher’, we knew that the other big operators will soon follow and bring in similar tariff vouchers; here comes one from Airtel. 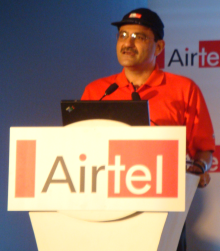 Airtel’s new tariff voucher is called RC 62 and is focussed on reducing call rates for local and STD calls made across non-Airtel network. This voucher is priced at Rs 62 and comes with an airtime of Rs 40 along with a validity of 180 days. This voucher will allow subscribers to make local and STD calls across Airtel network for 50 paise/min and across non-Airtel network for 60 paise/min. SMS and roaming tariffs will be standard. Although the voucher looks good, it suffers in front of RCom’s killer plan ‘Simply Reliance’. 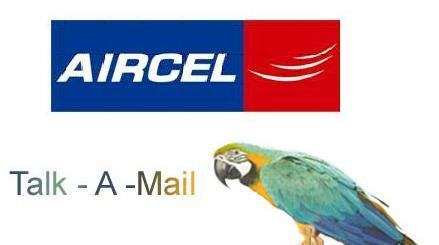 Aircel is one operator who definitely plans its value added services (VAS) seriously, and well even innovatively. Aircel recently added this new VAS called ‘Talk-a-Mail’ and as the name suggests, this service allows Aircel’s subscribers to compose their mails by making a call. Read on to know how to use this service. Unitech is all set to launch its GSM services in December this year under the brand ‘Uninor’ and it has finalised on Nokia Siemens Networks to be its network and infrastructure partner. It will initiate its services in six circles which will include Gujarat, Maharashtra, Rajasthan, Punjab, Jammu & Kashmir and Himachal Pradesh. Nokia Siemens Networks will also be responsible for network operations and maintenance as a part of the Managed Services contract with Uninor. Nokia Siemens Network intends to make use of its Flexi BTS platform to make mobile base stations. NSN claims that this technology will let it bring in the industry’s smallest and most energy-efficient mobile base station. NSN will also offer consultation and network design services to ensure smooth interlinking with Uninor’s existing infrastructure. 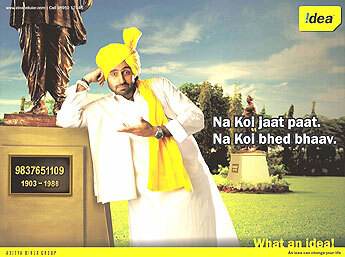 Tata DOCOMO shook the Indian telecom market when it came up with its innovative per second billing tariff. In reply to the Tata Docomo’s one-second billing plan, IDEA Cellular, launched a new ‘Super seconds’ tariff plan in Rajasthan, Himachal Pradesh, Bihar and Jharkhand which offers calls at 1 paisa per second on all local and STD calls on any network in the country. With this move, IDEA becomes the first mobile operator to offer the pay per second tariff plan after telecom regulator TRAI suggested earlier this week that per second pulse should be made a mandatory option along with other tariff plans. In Himachal Pradesh, existing IDEA subscribers can purchase a special voucher priced at Rs 24, whereas new subscribers can get it for Rs 49. In Bihar and Jharkhand, existing IDEA subscribers can purchase this voucher for Rs 8 and new subscribers can get it for Rs 14. Similarly, to avail this tariff plan in Rajasthan existing users will have to pay Rs 24 and new subscribers will have to pay Rs 55 for the Super Seconds one year service. “This is yet another ‘first from Idea’ to offer world class and affordable telephony services to mobile consumers in the region,” Anish Roy, Chief Operating Officer-Idea circle for Punjab, Himachal Pradesh and Jammu said. The new tariff vouchers will be available at My Idea Showrooms and Idea Points in the regions. 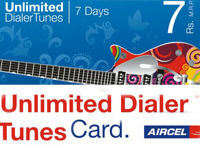 Aircel has announced the first of its kind Dialer Tune card which offers users the freedom to switch their dialer songs unlimited times, at no extra cost. These cards are available for both prepaid and postpaid users. These cards are currently available in three denominations starting from as low as Rs 7 which comes with a validity of 7 days, Rs 31 valid for 31 days and Rs 240 which can be used for a year. All Aircel prepaid and postpaid customers can recharge with this coupon by dialing the special IVR number 5300003 and entering the 16 digit secret PIN number. One can also recharge by sending SMS DTC <space> 16 digit PIN number to 5300003 (toll free). Call charges for using the IVR for song selection are Rs. 3 per minute. To unsubscribe SMS DT <space> unsub to 5300003 (toll free). So is Airtel not even affected by the ongoing price war and the entry of new players in the market? To this he responds that, “New players have nothing but tariffs to offer.” Sounds like a confident reply. We wish them All the Best.